The console displays the weather information and offer forecasting, on-screen graphing, and much more. 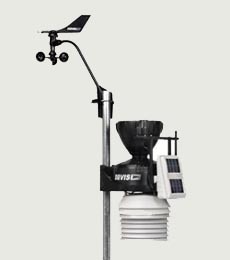 The console is also a powerful weather computer, collecting, storing and displaying historical weather data. Quick view icons show the forecast at a glance —sunny, partly sunny, cloudy, rain or snow— while a moving ticker-tape display gives more details. A barometric pressure, a humidity and a temperature sensor is built-in. Eight phases of the moon, the sunrise and sunset times are calculated. 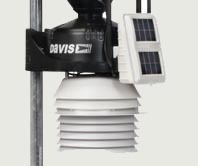 The WeatherLink datalogger stores the weatherdata even when the computer is off. 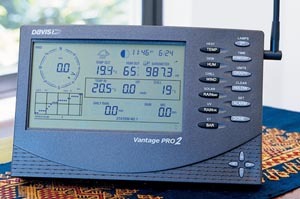 The WeatherLink software allows to connect the personal computer to the weather station to store, view, plot, analyze, export and print weather data collected in de data logger. You can choose a storage interval of 1, 5, 10, 15, 30, 60, or 120 minutes and then you can store up to six months' worth of data, depending on the chosen storage interval. On the instant weather bulletin, summary, or graph data on a daily, weekly, monthly, or yearly basis, you can see current conditions at a glance. You can generate Weather Watcher reports in National Climatic Data Center (NOAA) format. You can post weather conditions to your web site and upload other files (such as images from a webcam). 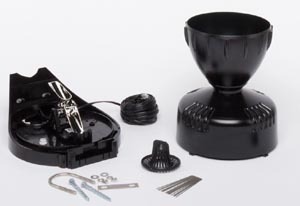 The rain collector with self emptying tipping bucket has a resolution of 0.2 mm rain. 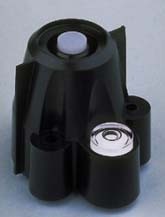 For improved accuracy, temperature and humidity sensors are housed inside an active ventilated radiation shield. The multi-plate shield protects against solar radiation and other sources of radiated and reflected heat and guarantees a maximum of airflow. 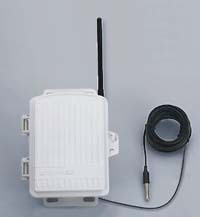 Transmitter and battery are located aside the radiation shield in a weatherresistent housing. 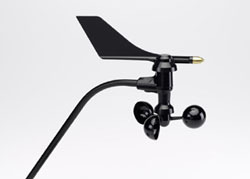 The wind speed and wind direction are measured with these sensors. This station measures the temperature just above a grass field, that means the grass-temperature. The station communicates directly to the Vantage Pro console. It includes a stainless steel temperature probe. That probe is a platinium wire thermistor that produces a resistance change proportional to temperature. It is battery powered.